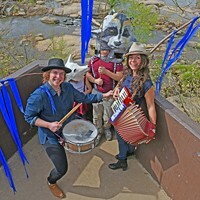 A Tale of Two Terminals | Cover Story | Style Weekly - Richmond, VA local news, arts, and events. 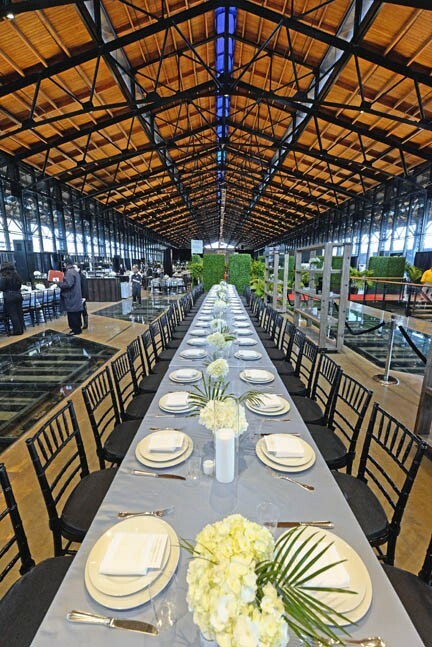 How two railroad depots have become premiere event spaces. 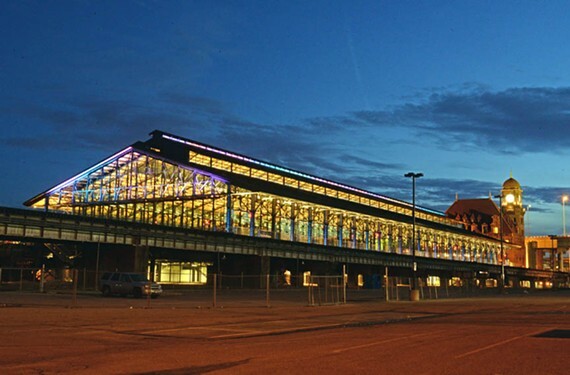 When seen after dark from East Broad Street, the now glass-enclosed Main Street Station train shed becomes a lanternlike beacon. "Welcome to Los Angeles," Mike Holland shouts, wearing a weary grin while he hustles across the polished concrete floor of Main Street Station's train shed. "No," he corrects himself — "make that Nashville." Whoa buddy, what's your hurry? The Silver Star isn't scheduled for another hour. But Holland, an owner of catering and event planning firm Mosaic, isn't catching a train. He's checking last-minute details for a seated dinner for 1,500 getting underway in a few hours. It's being held under the black iron girders and wooden ceiling of Shockoe Bottom's newly restored train shed. The party's host is Costar Group, a Washington-based commercial real estate information company with research offices in Richmond. Round and oblong tables with black ballroom chairs are aligned to fill every available space in the opulent terminal head house. They also fill much of the dramatically expansive, 63,000-square-foot enclosed former train shed. For this event, palm trees and other greenery define specific dining areas. Arrangements of white hydrangeas populate tabletops alongside place settings of crystal and black napkins. Servers receive their assignments. About the time Amtrak is scheduled to send its 5:07 p.m. train to points south on a nearby, elevated track, dozens of motor coaches will begin dropping off party guests down on East Main Street. After dinner, the crowd will head to the far north end of the 500-foot-long train shed, where a nightclub setting and stage have been installed for the main event — a performance by a Grammy-winning country music group, the Zac Brown Band. But make no mistake: The evening's showstopper will be the dramatic interior space itself, as it was for other major events held in the train shed since its restoration was completed in April — starting with the American Heart Association's Richmond Heart Ball, and including the Craft Design show of the Visual Arts Center and Gov. Ralph Northam's inaugural gala. Costar moved its employee appreciation gala from Washington to Richmond specifically to dazzle its guests, including actor and company spokesman Jeff Goldblum, with the experience of dining in the station and watching trains and the blurred lights of Interstate 95 traffic sail past uninterrupted expanses of clear plate glass. Yes, there's more than Amtrak rolling through Shockoe Bottom's French chateaulike train depot these days. 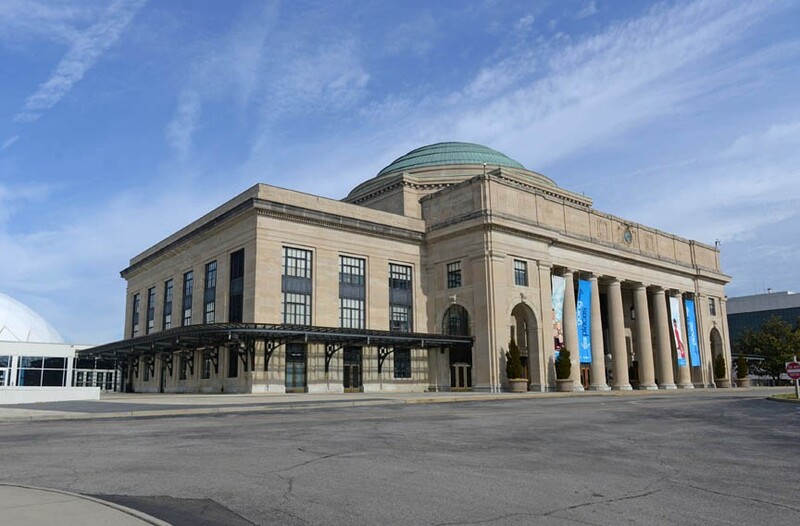 The 1901 train station, having undergone an ambitious $91.5 million makeover, paid mostly by federal and state funds, is fully embracing its next act — as a singular event venue on the concourse level. And on the ground level, a tourist center has opened. Still to come is an indoor marketplace that will complement the nearby historic 17th Street Farmers' Market, being overhauled half a block away. 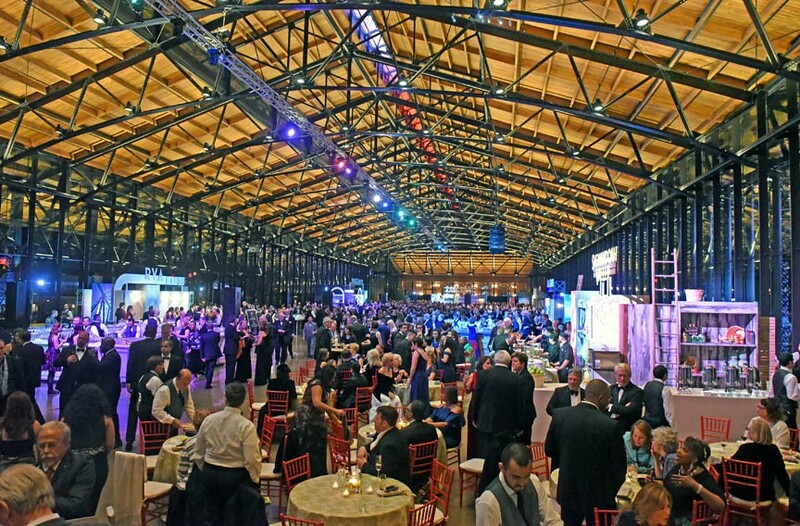 The soaring 500-foot Main Street Station train shed welcomed 3,000 guests Jan. 13 for the governor’s inaugural gala. Richmond must love big parties. Another distinctive, special-events space made its debut in April — three and a half miles west of Main Street Station at the architecturally glorious former Broad Street train station-turned-Science Museum of Virginia. The modernistic Dewey Gottwald Center is named for the late Floyd Dewey Gottwald, a former chairman of Ethyl Corp. For decades, special events and galas have been held at the Science Museum in the soaring, 100-foot-high rotunda or in big white party tents alongside inactive railroad tracks. The new hall, built from the ground up, features a dramatic, up-tilted roof and ceiling. It's a 10,000-square-foot flexible event and temporary exhibition space in a new 21,000 square-foot wing that faces and adds needed life to a remote stretch of West Leigh Street. The Science Museum of Virginia occupies the former Broad Street Station, which opened in 1919. Richmond is rare among cities in that it even has such landmark structures as grand and flexible as Main Street Station and the Science Museum of Virginia — not to mention they're former railroad stations. In many places such depots have disappeared. Consider the demolition in 1963 of New York's glorious Pennsylvania Station, a loss the New York Times cursed as "a monumental act of vandalism." The Dewey Gottwald Center, an addition designed for special events and exhibitions, has a dramatic up-turned roof that contrasts harmoniously with the landmark structure’s low dome. It's a miracle that these landmarks survived the past century. They've been threatened by major challenges both political and of Biblical proportions: Fire? Check. Floods? Check. Neglect and possible wrecking balls? Check, check. Main Street Station was completed in 1901 to serve the Chesapeake & Ohio and Seaboard Airline railroads. Its five-story head house has an impossibly steep roof punctuated by elaborately detailed dormer windows. Golden Roman brick walls adorned with decorative terra cotta detailing are a picturesque treat. The elegant head house stands in stark contrast, slapped hard against the stolid train shed of riveted iron construction. Both sections of the building were designed by Wilson, Harris & Richards, a Philadelphia firm that specialized in railroad architecture — with one of its principals, Joseph Wilson, an architect and an engineer. The iron for the shed was manufactured by Pencoyd Iron Works, an operation situated along the Schuylkill River near Philadelphia. Main Street Station, soon after completion in 1901, featured raised railroad tracks, platform and shed. They continue to protect operations from flooding. Main Street Station was envisioned to serve as an entrance to downtown because East Main was a bustling retail center at the turn of the last century. The area wasn't immune to periodic river flooding, and the station's design included three miles of elevated train track in Shockoe Valley and along the James. The station handled passenger rail traffic traveling east and west. Inside the head house, marble, terrazzo, brass, tile, carved wood and elaborate plaster were woven into almost storybook interior settings. 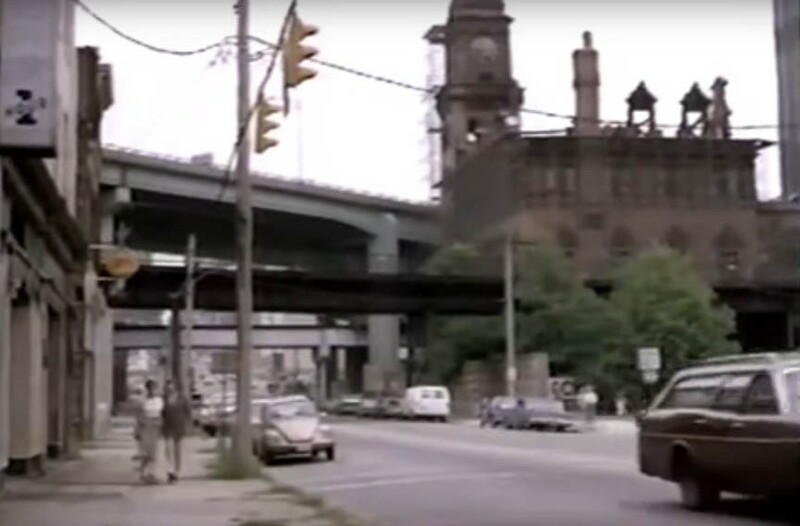 But the architectural highlight of the head house has always been the distinctive clock tower that rises to 110 feet. It quickly became, and continues to be, an icon of the city. Thousands of motorists zoom past daily en route between Maine and Miami or some fraction of the trip. When the raised highway was built in 1956 as the Richmond Petersburg Turnpike, planners avoided tampering with the distinctive old station despite the fact that many depots nationwide were being demolished. When passenger train service ceased there in 1975, a sad little passenger station was built on Staples Mill Road in suburban Henrico County. But other uses were in store for Main Street Station. 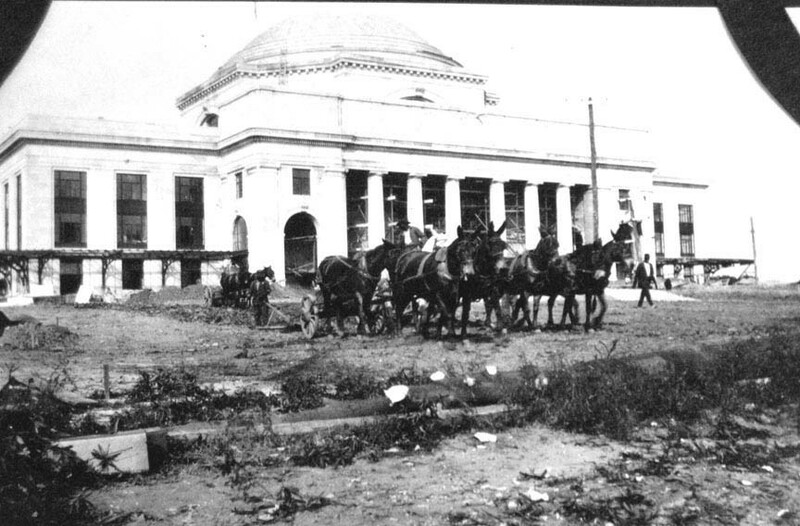 Broad Street Station, shown immediately above under construction in 1919, was built atop a man-made earthen mound. Now one of the region's most popular destinations, the site of the Science Museum of Virginia could well have become part of the strip culture of traffic lights and fast food — its preservation was never a given. Construction of Broad Street Station, at 2500 W. Broad St., was completed in 1919. Work had begun in 1913 following a national architectural competition won by John Russell Pope, a New York architect trained in the classical beaux-arts tradition. The building delay was due to prolonged arguments with downtown promoters about whether a new station in the city's western suburbs would drain commercial activity from the city center. But the powerful Richmond, Fredericksburg and Potomac railroad forces, its major developer, prevailed. What architect Pope delivered — and a feature that didn't appear on his firm's winning schematic drawings — was a central 100-foot-high domed rotunda, inspired no doubt by the ancient Pantheon in Rome and by Columbia University's Low Library in New York, an 1895 masterwork designed by McKim, Mead & White. Railroad officials requested adding the dome to make their station distinctive from others nationwide. These ambitious gateways were expected to deliver tremendous civic punch. The massive station was built atop an artificial earthen mound that elevated the templelike structure above West Broad while shielding views of the train tracks and sheds in the rear. The station's colonnade, with colossal columns in the Roman Tuscan order, was inspired by the facade of St. Peters Basilica at the Vatican. The sculptural work surrounding the clock, set in the center of the attic of the front facade, is a low relief design by Ulysses Ricci (1888-1960) titled "Progress and Industry." The prolific New York artist adorned many a bank and railroad building in numerous American cities. Broad Street Station rail traffic ran north to south. 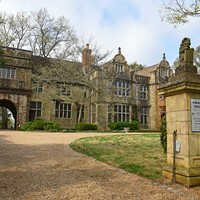 Throughout the years it was the arrival point of many dignitaries, including Winston Churchill in 1929 when researching Civil War history and then again in 1946 when the British prime minister arrived triumphantly following World War II with Gen. Dwight D. Eisenhower and their wives in tow. The station closed in 1969, not long after the demise of Pennsylvania Station in New York. But if Gotham had no savior angel, a heroine emerged here who saved the landmark from a similar fate. That was a Richmond grande dame and opera aficionado — connected to Andrew Carnegie — the late Anna Lauder Garner. Her father was a business partner of the industrialist and philanthropist. 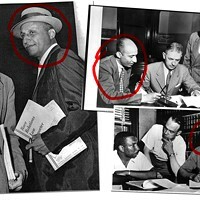 Garner persuaded Gov. Mills Godwin to scrap plans for a new Science Museum of Virginia building being developed in the early 1970s for a wooded hillside in Byrd Park behind Dogwood Dell. Instead, she urged the governor to have the state buy the terminal and re-purpose it. The Commonwealth of Virginia made the purchase in 1975. 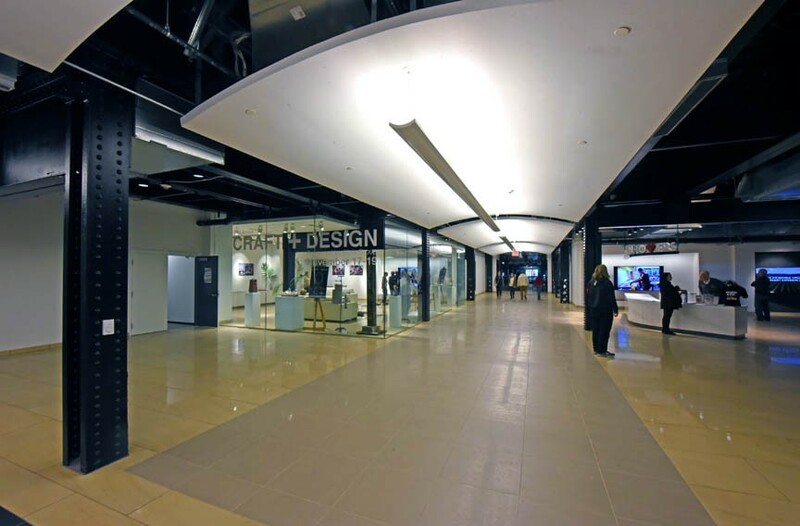 The Dewey Gottwald Center at the Science Museum of Virginia offers flexible event and display space. Natural light is controlled by retractable shades. The Science Museum opened in 1977. Its second director, Walter Witschey, made a savvy design and programming decision when discussions were tilting toward placing the main entrance to the museum on the building's western side. He championed having visitors enter via the front portico. Virginia's schoolchildren, and all visitors, he maintained, should get the full experience of passing by the great columns when entering the building. 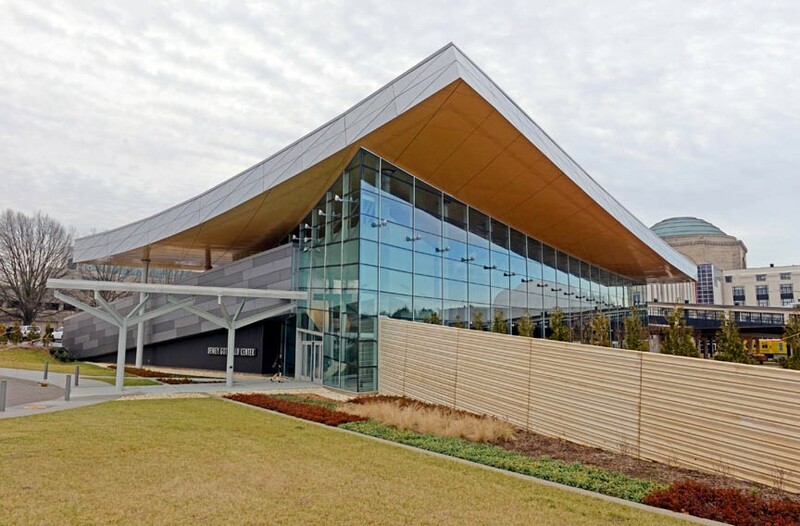 For the new $14 million Dewey Gottwald Center, the museum challenged its architects, Pfeiffer Partners of New York and BCWH of Richmond, to design a flexible structure to serve as both a special exhibitions space and events space. The architects attached the wing to the terminal's impressive existing concourse behind the rotunda. And rather than mimic the classical dome as a way of establishing context, the designers cleverly flipped the arc to reflect the spirit of the dome. If the arc of the new, up-sloping roof were to be extended to 360 degrees, it would encompass a 355-foot radius. As built, the roofline "kick" extends beyond the footprint of the new building. 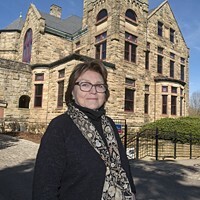 Another pleasant surprise of the Gottwald center is that, while it is adeptly connected to the museum building, its major entrance faces Leigh Street. This thoroughfare, despite the Redskins training center, mature sycamore trees and new sidewalks, long has been a back street. Happily, the Science Museum's architectural team and the architecture firm 3North, designer of the Bon Secours building at the nearby football camp, discussed the placement and respective designs of the adjacent constructions so they might complement each other. A new, shared driveway provides an almost ceremonial approach to the Gottwald pavilion's sweeping front canopy. BCWH was the landscape architect for the museum grounds. 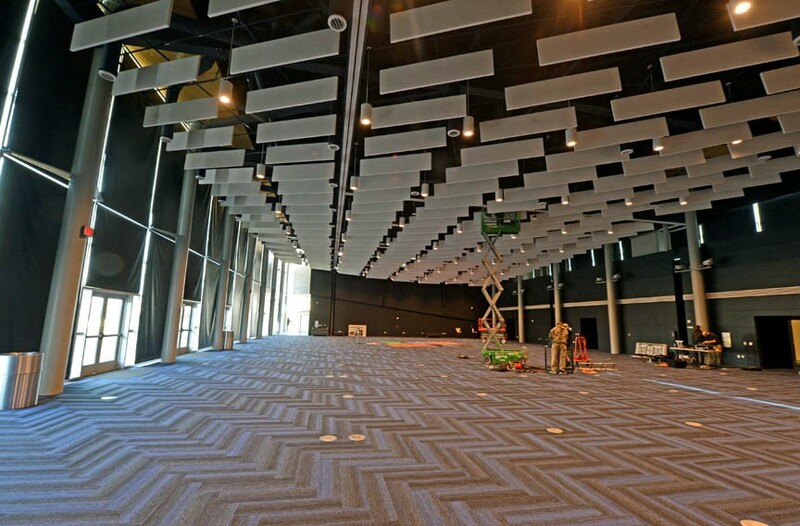 Inside the new pavilion, which accommodates 1,541 standing and 672 seated attendees, the space is divided into two areas. A long service hall runs the length of the eastern side of the rectangular building. Clerestory windows are on this side. It's on the western side where the drama occurs. Here, the mostly 22-foot ceiling swoops to an altitude of 38 feet. And on the west wall, eight bays of floor-to-ceiling glass windows overlook the old butterfly canopies of the former train passenger loading areas. Glass doors link the Gottwald center to an outdoor terrace. The character of the space can be changed dramatically — and almost instantly — with the flick of a switch. Motorized, specially designed shades can darken and "enclose" the room, which already is painted black, within seconds. Scores of white panels hang from the irregular ceiling to create a rhythmic sculptural effect while assuring almost perfect acoustics. The latter was apparent at the opening event held here. When Floyd D. Gottwald Jr., a son of the namesake of the room, rose to greet the 500 formally dressed guests, he eschewed the raised dais and its waiting microphone. Yet everyone in the huge room reportedly heard his remarks. The center's reason for being got off to a good start. Some $250,000 was raised that opening night for museum programs. And later last spring, the room was launched equally successfully as an exhibit space with its exhibition, "DaVinci Alive … the Experience." The head house and shed of Main Street Station was set for 1,500 people for dinner Feb. 6. In many ways the Main Street station was the more difficult of the two old stations to convert to new and contemporary uses. It is landlocked, hard against the interstate highway on one side and a marketplace dating to the 1700s on the other. It also abuts frayed and fragile city blocks that may hold the remains of African-Americans and does hold the collective memory of the emerging history of the slave trade in the immediate vicinity. The building also has had periodic waters lapping at its steep front steps from floods, including Hurricane Agnes in 1972 and Gaston in 2004. In 1983 the entire roof was burned. Some of the tiles that replaced the original terra cotta elements are now a rubber. But two years later, in a bold move, private developers re-invigorated the station by building a multilevel shopping mall in the old train shed. While certainly attractive enough, it and the 6th Street Marketplace were retail projects too far ahead of their time. In 1988 the state purchased the station and the Health Department used it for offices. During the 1990s the structure was seriously studied for use as a GRTC bus transfer station, which would be one element of a multimodal transit center. Then, during the mayoral administration of Dwight Jones, Shockoe Bottom's redevelopment with a minor league ballpark as its centerpiece never materialized. 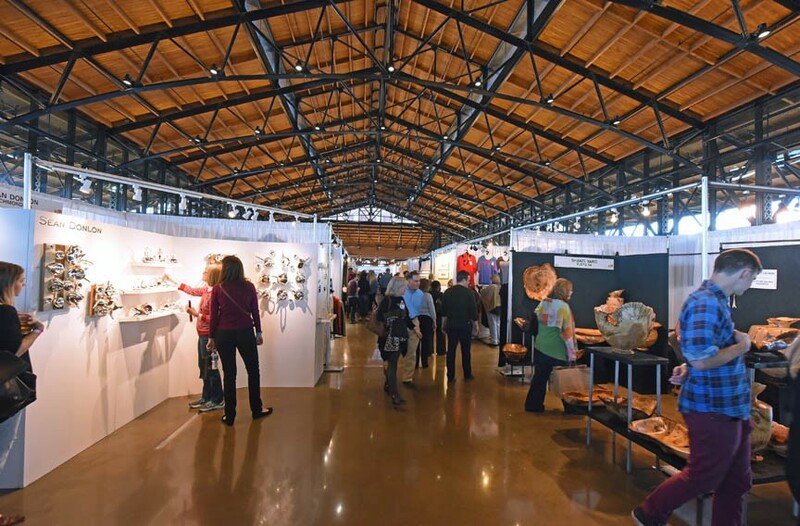 The Craft and Design show, presented by the Visual Arts Center of Richmond, attracted 10,000 visitors to Main Street Station in November. In 2003 planning was underway on the conversion of the Main Street Station back to passenger rail service. The head house was the first phase of the station's resuscitation. The architect was Harry Weese Associates of Washington a highly respected firm nationally who led the renovation of Union Station in the nation's capital. Among the firm's architects assigned to the Richmond project was Hany Hassan, who worked successfully to preserve Grand Central Terminal in New York — with Jacqueline Kennedy Onassis at his side. For the train shed renovation completed in April, the city engaged Beyer Blinder Belle Architects and Planners, also of Washington. The firm of SMBW of Richmond was the local architect. Major infrastructure was added — elevators, stairways, restrooms and support spaces. But the spectacular result of the train shed renovation is that the building, despite having its expanses of flooring and roof replaced, looks so, well, industrially elegant. The designers respected the strong bones of the building and added very little. From the inside it's thrilling to see vistas of Richmond in a new light. Looking through the newly installed glass walls to the east, you see the city's ancient landmarks: Masons Hall, the farmers market and the buildings of Church Hill in the distance. In contrast, the western view is an urban panorama of highrises and highways. There are those who question the cost of this ambitious rehabilitation project and its returns. Stop. The redesigned undercroft of the train shed now houses a welcome center. Consider this: As grand as the scope and as well executed the details of the $91.5 million restoration, there's a much bigger story. The Main Street Station is the most looming landmark in Shockoe Bottom, not counting the interstate and train trestles. 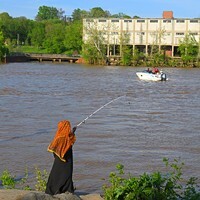 It had to be brought back to new life — the construction of the flood wall a generation ago helped make this even viable. More recently Shockoe Bottom has been repopulated with hundreds of new and restored apartments. The Poe Museum and the Virginia Holocaust Museum connect us to the past. The Capital Trail has evolved as a world-class destination and experience. The farmers market is being transformed as you read this. And the most challenging and poignant element of district's saga awaits — how we continue to enrich Shockoe Bottom and our community by telling the tragic story of what transpired here from colonial times to the Civil War, the slave trade. 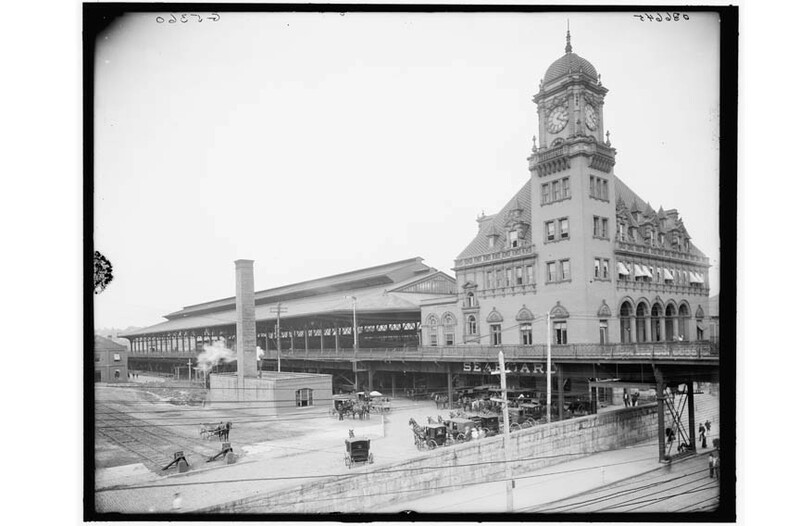 When Pennsylvania Station was lost, an indignant editorialist at the New York Times wrote, "A city gets what it wants, is willing to pay for, and ultimately deserves." 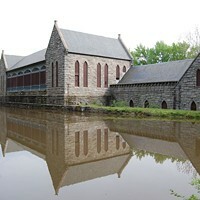 Before these two railroad buildings were restored, they were recorded on film in two well-received movies. "The Last Detail," starring Jack Nicholson, Randy Quaid, Otis Young and Michael Moriarity, was released in 1973. Its plot follows the transfer of a sailor from Norfolk to his court hearing in Maine. The film received three Academy Award nominations, including best actor and best supporting actor. "Finnegan, Begin Again," released in 1985, was a favorably reviewed HBO romantic comedy starring Mary Tyler Moore, Robert Preston, Sylvia Sidney and Sam Waterston. Scenes shot throughout the 17th Street Farmers' Market show the deserted train station with no roof and Virginia creeper on the building's decaying exterior.